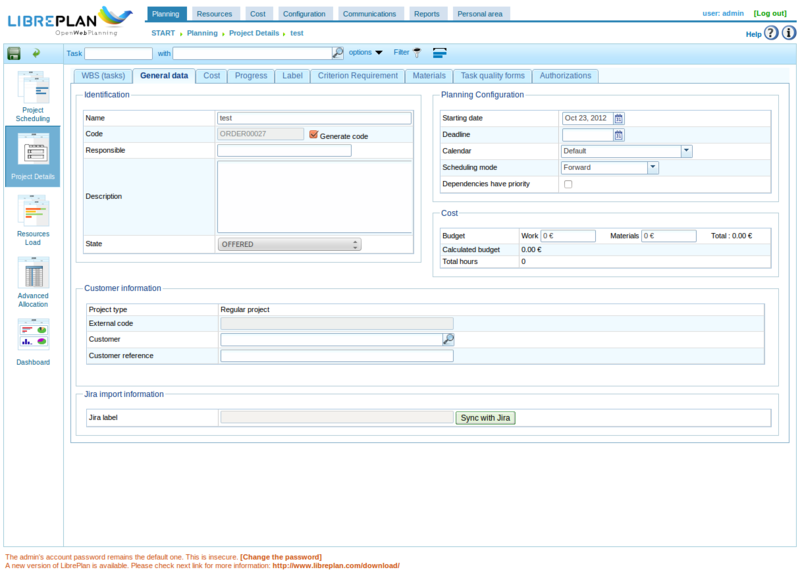 Miciele has been very bussy with our LibrePlan-Jira connector and we are currently finalizing our work into a patch. My guess is that we will send in our patch today or tomorrow. So it’s time to show you all the latest developments. In project window General data: “Sync with jira” button disabled. This can happen if “Jira activated” is unchecked in jira-connector configuration. 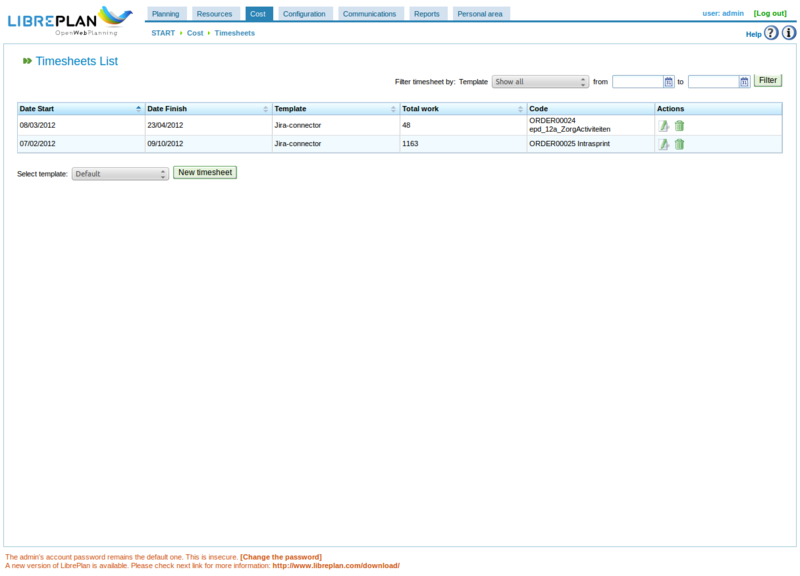 In project window General data: where to sart sync with jira (“Sync with jira” button enabled). After sync: the synchronized label is displayed. If you now click the “Sync with Jira” button no pop up screen(to select label) will be shown, instead sync will start for the displayed (already synchronized) label. If there is something to report, a Synchronization info dialog will appear. It shows the failure or success info of the sync operation. This can be info like (no Jira worklog found for a specific issue, or an error if a resource is missing from the LibrePlan configuration. We decided some time ago not to auto-create resources because there is not enough info available to do that automagically. The WBS(tasks) window: The “hours” colum is disabled (because they come from Jira) and the “code” column contains clickable(!) links to the Jira issues. And now the really fun part starts! This next 2 screens are so cool (imho). 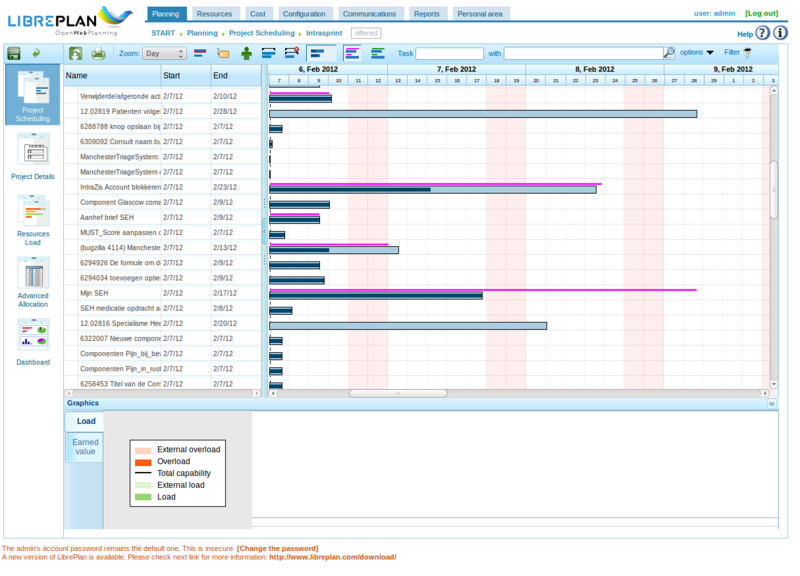 If we open the project and look at the individual task progress we see the following screen, scheduling zoomed on a “day” level. As you can see the task in the middel needs some attention because the worklogs have past our initial planning and the progress is only halfway there. This issue needs a project manager’s attention quick! We have decided to make a timesheet based on a jira-connector timesheet template. 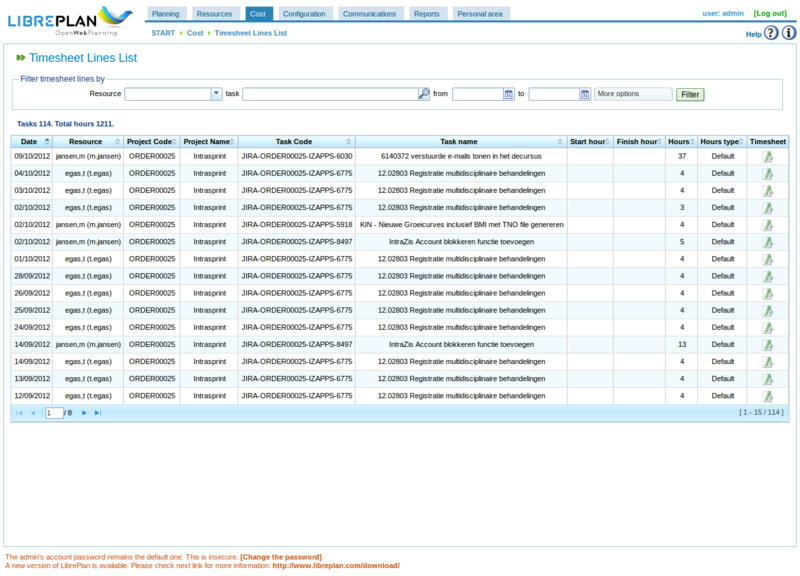 The next picture shows the list of available timesheets. This one shows the timesheet details. The only difference with a ‘default’ timesheet is the extra ‘summary’ column. 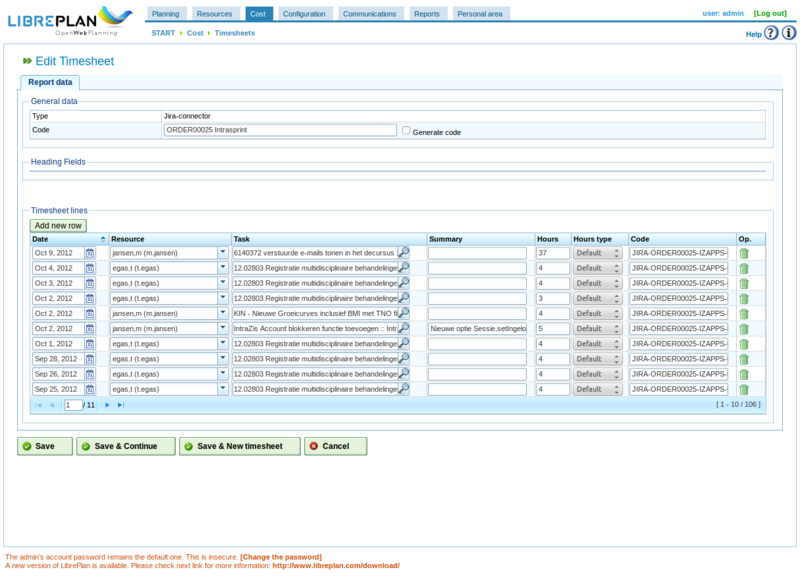 It shows the comment field of a Jira worklog entry. 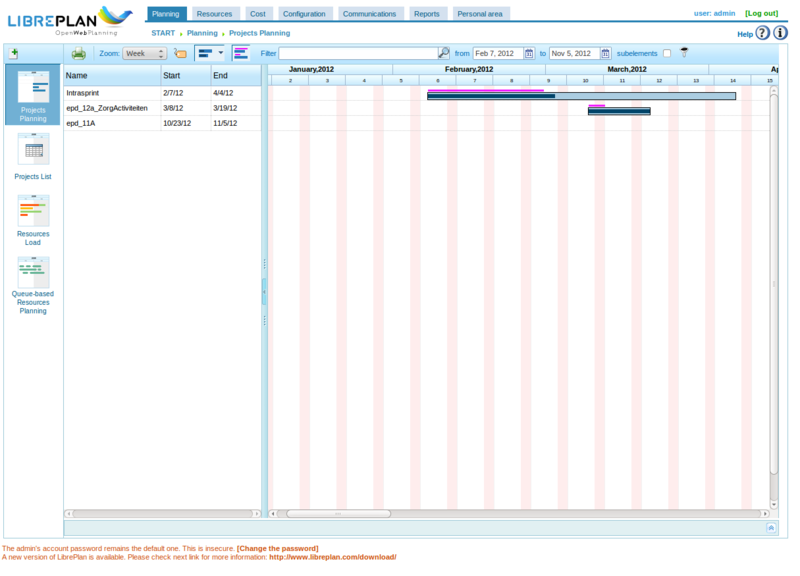 The last picture shows a timesheet lines list. So this is it. We are building the patch right now and hope you all like what we have build.